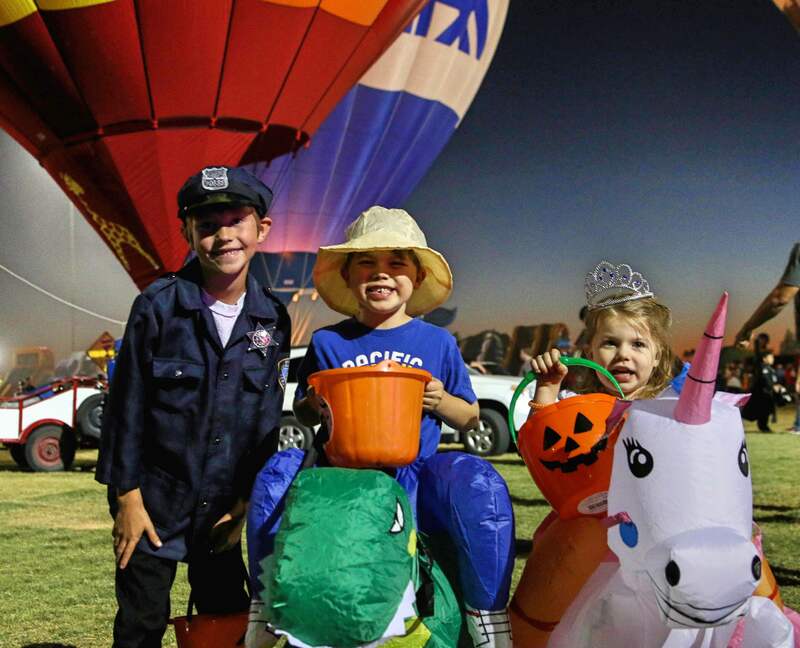 20+ Hot Air Balloons, Trick-or-Treating, Live Music, Costume Contests and much more!! No. 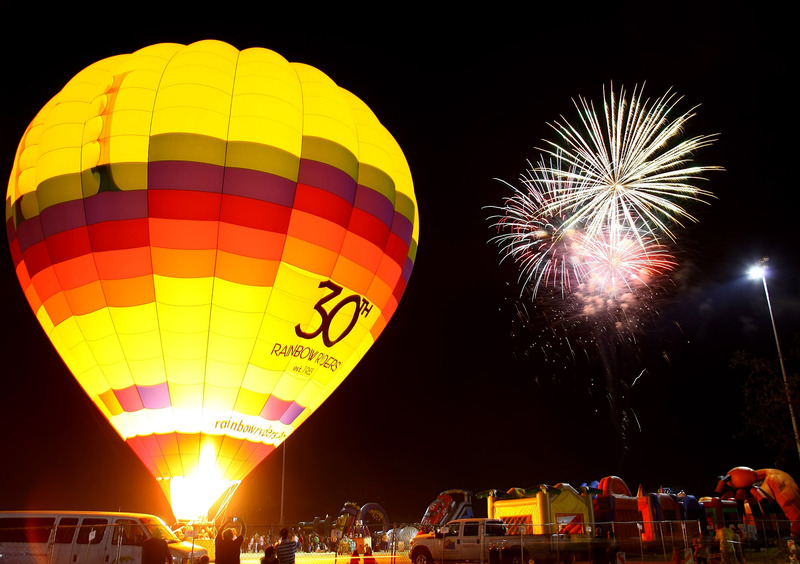 The event is an evening glow, meaning all the balloons remain on the ground during the event allowing guests to get up close and personal with these gentle giants. 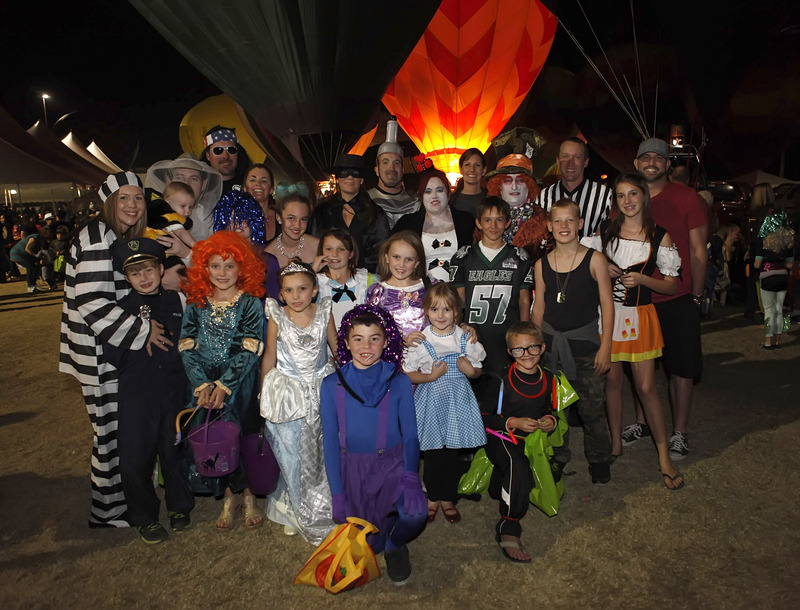 Each hot air balloons serves as a trick-or-treat station for the kids! What time will the balloons be on display? 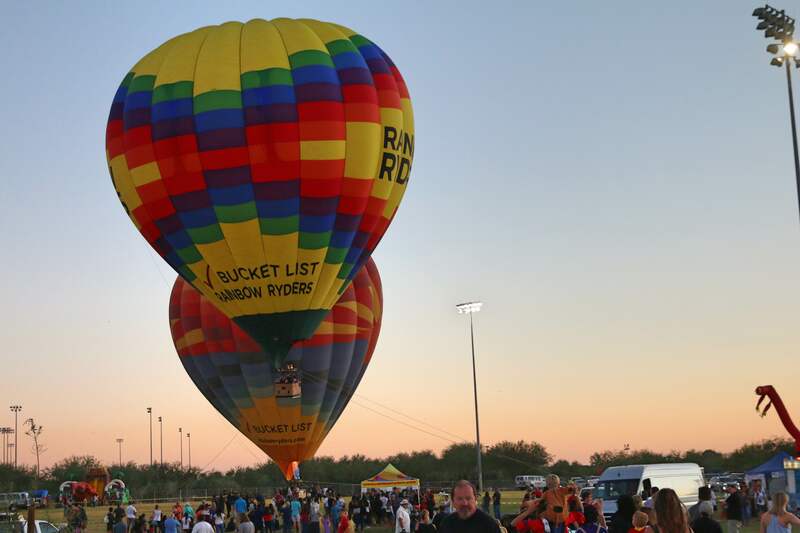 The balloons begin to inflate at sunset and glow as long as their fuel allows. This means balloons are usually up from about 5:45pm to approximately 8:45 to 9:15pm, conditional on weather. Yes, general admission tickets are available for purchase at each entrance gate. Can I pre-purchase tethered rides? No, unfortunately the tethered rides are sold on-site only and are given on a first come, first serve basis. 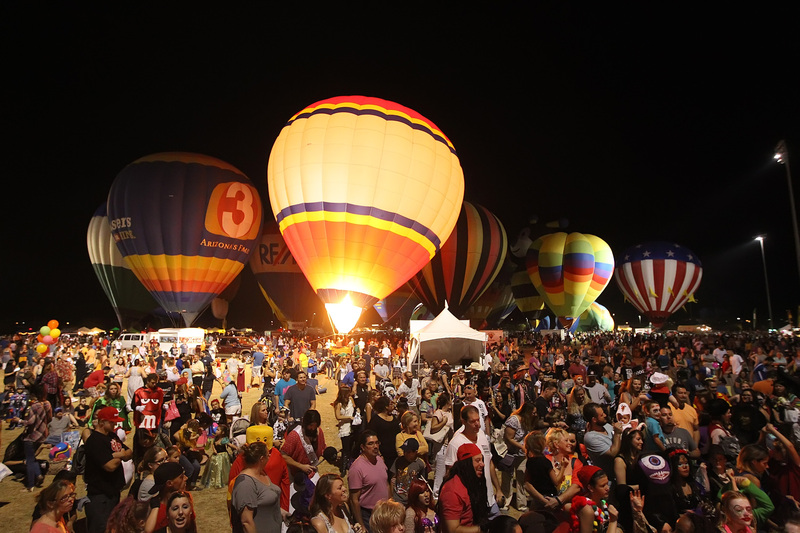 General admission includes admission into the event, live music, a FREE Kids Zone with bounce houses & inflatable games, access to and trick-or-treating at balloons, admission to the family-friendly Haunted Trail, and the fireworks finale. 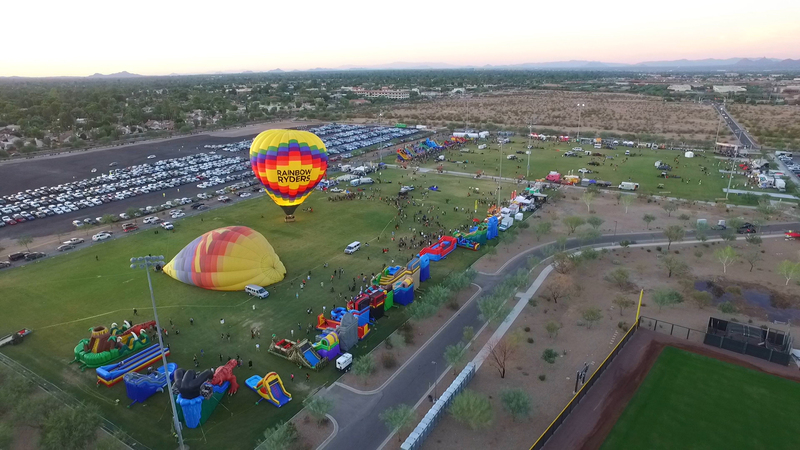 Activities with additional cost are tethered balloon rides, food and beverage, and retail items available for purchase from vendors. Is the event handicap/wheelchair accessible? Definitely! We have handicapped parking and the event is held on compact grass fields. In fact, one of our balloon pilots is Michael Glen, the worlds first paraplegic hot air balloon pilot. He operates his balloon from a specially designed seated basket. Handicapped parking is first come, first served. Unfortunately only service animals are allowed into the festival.